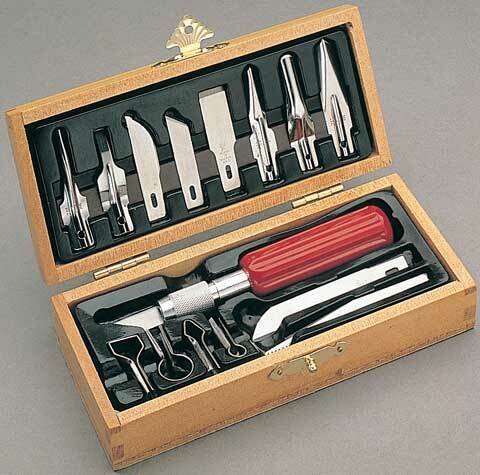 For the discriminating woodworker, this wood cased set includes high quality tools. It is a complete set for virtually every woodworking requirement. Included are a #5 knife with five gouges, four routers and one each blade numbers 18, 19, 22, 24, 26 and 27.